Due to the distance from the coast, some have speculated that these men may have been highwaymen instead. Some have said that the men were former pirates who moved to the area, and that they were found out, and hung for their past crimes. Also, some say that the elders of the church were the ones forbidding the names on the stones. It would be interesting to find the court records for this case, if this is the truth. Yet others have said that the images actually indicate deaths from an epidemic disease. Without the dates for the deaths, it is difficult to verify the information(2). 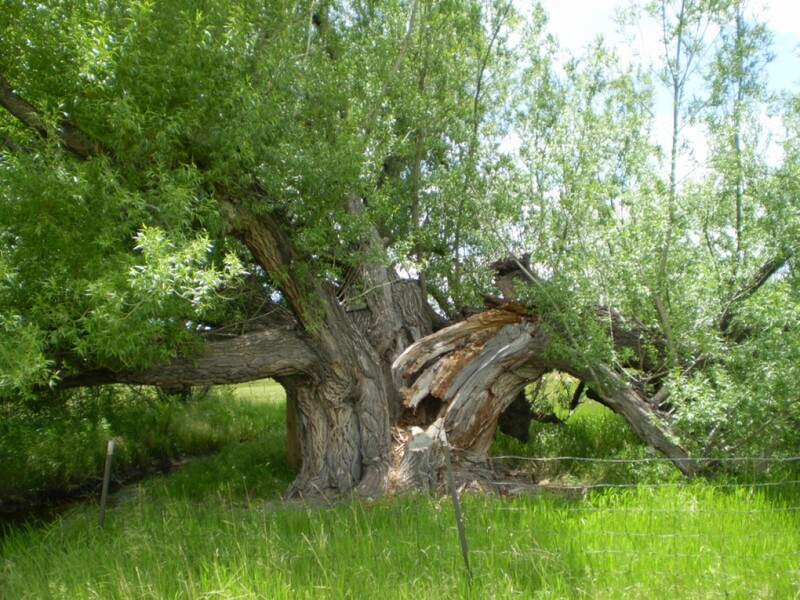 When I first began searching for my Spence ancestors, I had no idea where they originated. My grandfather, William Franklin Spence (1884-1973), once sent me off on a wild journey into Kentucky. He thought his grandfather, William David Spence (1827-1907), was born in Kentucky. He was actually born in Tennessee, but it would take me a while to find that. So back in those early days, I searched the old county history books in for the Spence surname. When I finally discovered the Spences were in North Carolina prior to Tennessee, I followed the same procedure there. All the North Carolina county histories were piled on my table while I searched through the Index of each volume. It was on such an occasion when I encountered an interesting story in an old Rowan County History concerning the fate of three condemned pirates who were executed and then buried in the Thyatira Presbyterian Churchyard Cemetery near the town of Salisbury. Of course, I had to read about it! Since I made no copy of the story, I am forced to recall it from memory. As I remember, three dangerous pirates had been operating off the North Carolina coast, robbing, killing–doing all the dangerous things that pirates desire to do. Finally, these three pirates grew tired of their way of life and decided to settle down. They were afraid of being recognized if they settled on the coast, so they went inland to Rowan County. They became farmers and even married, raising families. And they lived their new lifestyle for some period of time. Then as fate would have it, someone recognized them. They were arrested, tried and convicted of piracy, and the three were sentenced to death by hanging. Another problem arose after the three were executed: What should be done with the bodies? Murderers and thieves were not to be buried in church cemeteries with the righteous people. Apparently, the families of these pirates did a lot of begging and pleading. They wanted them buried in the Thyatira Presbyterian Church Cemetery. After much begging and pleading, it was finally ruled that yes, they could be buried in the cemetery. Their stones would not bear their names or dates. And so the pirates were buried in the cemetery with only skull and crossbone symbols on their gravestones(3). I remembered that neat story for a while and then forgot it when all the school projects and educational projects descended on me. And I didn’t recall it until a few short months ago while working on my fifth great-grandfather, William Spence and while noting the fact that he was in Rowan County in the early 1760s. What was that story I read about Rowan? I wondered. That pirate story! Where did that happen in Rowan? Some Presbyterian Church? William Spence was a Methodist, so I dismissed that idea. And I forgot about the pirate story again until just the other day. I should write about that in my Cemetery Capers! I decided. 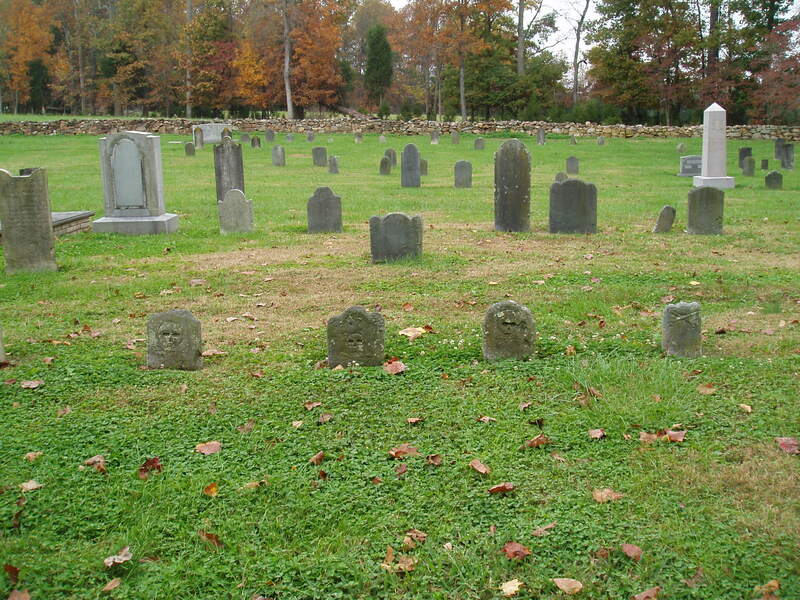 I wonder whether those gravestones are still there. Good chance, they weren’t. Well, after all–the old county history was written over a century ago–or so I thought–and the incident probably happened a century before that. I don’t know how I happened to recall Salisbury, but searching under that name brought me no satisfaction whatsoever! I had already realized I wasn’t going to have the Daniel Spence article ready this week since I had so many interruptions with more on the horizon next week. In addition, I discovered more information than I thought I would find about Daniel–so that article will be in two parts when I finish it. A portion of the first part is written, but it won’t be ready for release until late next week. And the more I thought about those three pirate graves, the more I was determined to find out more about them. I have no idea where that came from. I remember getting up yesterday morning and heading across the bedroom when that name sprang into my mind. Now, I believe it is fair to say that the church does not talk about the pirates on their website. Yes, they are still very much in operation! Yes, they are the oldest church and were the first church in the area dating back to the 1750s. And if they were the only church in the area in the early 1760s–yes, there is a chance William Spence was there! Notes: Thyatira is located in western Rowan County at 220 White Road. The mailing address is Salisbury NC, but the church is situated out in the county ten miles west of Salisbury, between Salisbury and Mooresville, just off Highway 150. “Pirates of the Caribbean: Dead Man’s Chest” just might be biggest movie blockbuster of the summer. But who needs Johnny Depp when we have pirates right here in Rowan County? Maybe. For years, the legend has been told and retold about the pirates that are buried at Thyatira Presbyterian Church in Mount Ulla. It’s just a story, insists Susan Waller, a retired educator. But it’s one she’s told groups of schoolchildren who visited the cemetery over the years. The story she tells is this: These four pirates decided they couldn’t live their lives the way they were, so they made their way inland, to Millbridge and Thyatira Church. They married and lived respectable lives. But one day, they were found out. They were tried and hanged. The families begged the church to let them be buried inside the cemetery walls. In those days, thieves weren’t allowed to be buried on sacred ground. The church relented, but chiseled only skulls and crossbones in the four small markers. Over the years, there have been stories written about two or three markers. There are actually four there today. For his part in the conundrum, Freeze asked a psychic who she thought was in the graves. She told him she thought that children were buried there. The skull and crossbones symbol has been used as a sign of disease. But why no names, no dates? That is a mystery, Freeze admits. Pirates may or may not at Thyatira, but those who definitely rest inside the stone walls include Elizabeth Maxwell Steele, who gave gold and silver to Nathaniel Greene during the Revolutionary War; John and Jean Knox, great-grandparents of President John Knox Polk; Francis and Mathew Locke, early patriots; and Samuel McCorkle, Thyatira’s first pastor and a founder of the University of North Carolina at Chapel Hill. And befitting the area of the county, there are scads of Halls and Knoxes and Grahams and Steeles and Sloans. But maybe no pirates. “If you wanna meet pirates, go see Johnny Depp,” Freeze says. Interestingly enough, Freeze notes that the first “Pirates of the Caribbean” movie was fairly accurate in its interpretation of costumes and pirate life in general. Go and visit Thyatira on a summer evening, when the air is cool and the sun is slowly sinking below the tall trees. Look and listen and take in the peaceful scene. Study those mysterious grave markers. You might conclude that this just may be the resting place of two, three, four pirates. Maybe. Okay, so the “old county history” was originally published in 1976 instead of a century ago, as I originally thought. I may have hauled some additional Rowan County histories from the shelf to read more about the pirates. I can’t remember. It can relate to piracy but only if the crossed bones pass behind the skull IE the jolly roger. Relating to the Knights Templar, as they used the insignia to deter enemies. On crucifixes, sometimes the crossed bones are under the cross to denote Golgotha or the place of skulls where the crucifixion took place. Connected to some European churches, where the S&C displayed at entrances. In 1700’s the southern Scots used the S&C on their headstones denoting death. My thoughts are that the grave possible contains the remains of a Freemason, and the Fremasons used this symbol to denote a Master Mason. The grave looks significant for its time, even though you cannot read the inscription and date, I guess it could have been someone important and Freemasonary was common in officials and wealthy folk(6). I must admit I find it strange that apparently these four are the only skull and crossbones gravestones in the Thyatira Cemetery. They probably belonged to some very young children who had not been named as yet. I believe the fourth grave belonged to a child who died at later time. However, I must also admit that the pirate story has a definite appeal. When I was seven years old, I visited Jasper and Newton Counties, Missouri where my mother grew up. I remember Mom’s Aunt May and Uncle Jim in Pittsburg, Kansas, Uncle Ivan and Aunt Laura in Webb City, Missouri, and Uncle Walter and Aunt Dolly in Carthage, Missouri. May Spence Cooper, Ivan Spence and Walter Spence were my Grandfather Spence’s younger siblings. Two brothers had passed away in the early part of the century. Grandpa was the oldest. We spent about a week in the area, with my fondest memory centering upon the huge ice cream social we had with all the local relatives. It was the first time I ever tasted homemade ice cream! Fast forward to 1991 and my developing interest in genealogy! When I was growing up in Iowa, my mother mentioned Moss Springs Cemetery from time to time. Because I heard Moss Springs and Carthage, Missouri mentioned in the same breath, I thought the cemetery was located inside the town of Carthage. And that’s where I started looking when I first started my genealogical research. When I couldn’t find it located there, I asked my mother about it our following visit to Cedar Rapids. “It’s out in the country,” she told me. Then she mentioned another name that provided a clue. After locating Fidelity Crossroads on a map, I sat back and stared in amazement. How many times have we driven through that area, probably passing the cemetery? I wondered. In the late 1970s, Howard and I lived in the Ozarks with our children for approximately three years. I remember sliding down I-44 to Joplin one winter and slipping past the exit to Carthage. From there, we skated the rest of the way to Oklahoma City, determined to get there one way or another. I also remember a previous trip after our move to Kansas City. We piled into a car with several relatives and drove down to Arkansas. Our trip home took us through Fidelity Crossroads and straight up the road through Carthage. I remember thinking about Moss Springs–but our time was short and we were anxious to get home safely. On both occasions, I had no idea about the names of any of my ancestors buried there! “When were you last in Moss Springs?” I asked my mother. 1938! I thought as I began my search in the Denver Public Library. Roads have changed and place names have changed since then! Spring 1994 launched a new announcement from me as Howard and I planned our annual May jaunt to Pennsylvania. We would only be there five weeks that summer, my residency requirement having been fulfilled the previous year. We would travel to Pennsylvania by way of Jasper County, Missouri, where I planned to visit two cemeteries: Fullerton–an experience I already described in a previous article in this section–and Moss Springs. “Moss Who?” someone asked when we stopped to inquire. “A cemetery called Moss Springs!” Howard responded. We had already experienced our adventure with Fullerton. “Mom’s going to have a fit if we’re late for supper!” Howard reminded me. We headed south a short distance–crossed over the interstate–and noticed a sign: Fidelity Cemetery. “Is that it?” Howard asked. “It’s supposed to say Moss Springs!” I responded. After walking around the cemetery a short time, I realized this was not Moss Springs. But I did find several collateral graves: two Kesslers and one Triplett. I took pictures of those graves as well as one of the cemetery sign. Perhaps we should suspend Moss Springs for another year! I decided. “Did you say this place was on a side road?” Howard asked. By now it was mid-afternoon. We were to be in Harrison, Arkansas by 6:00 P.M. We couldn’t spend too much time looking because so much of our time had already been spent dealing with Fullerton. However, since we were in the area, we could spend a little time looking. We had only gone a short distance when I noticed a huge mound in a field beside the road. At first glance, I thought it was a large, volcanic rock. “Have you ever heard of an elephant in Missouri?” I asked. “Are you kidding?” Howard responded. I pointed, and he stopped the car. The mound rose and raised its trunk in the air. It changed positions, shook its head and then settled down again–no doubt a circus elephant now in someone’s possession. “Who’s going to believe this story!” I asked. “You can tell it and see!” Howard answered. A school bus stopped in front of us, and several elementary children tumbled out of it. “Maybe one of these kids will know,” Howard suggested. A boy approximately ten years old headed past our car. “Say, could you help us?” Howard called out to him. The boy and a small girl beside him approached the car. “We’re looking for Moss Springs Cemetery,” Howard told him. We sat quietly until the bus pulled ahead. Yes, we did find a cemetery, but not Moss Springs. We found Center Cemetery which was right beside the road. I would later learn this cemetery was the sequel to Moss Springs–but when I saw the number of Spence stones there, I wasted no time in taking pictures. Only recently I learned that most of those Spence stones belong to the descendants of Daniel Spence (1806-1857)–brother of my third great grandfather, Samuel Spence (1800-1859). We spent time taking pictures of the graves and of the old Evangelical Christian Church at the corner of the yard. Then we were back in the car and on our way down I-44 in the direction of Springfield. We needed to arrive in Harrison, Arkansas by 6:00. Moss Springs would wait until the following year. Four miles south of Carthage, Highway 71. Side road on the right. Cemetery on the hill. After making this note in my notebook, I closed it and placed the reference book on the reshelving cart. Then I left the library and headed home. In two weeks, we would be leaving for Pennsylvania–an annual summer route that took us through a number of states before arriving there. I was working on my Ph.D. at that time in a summers-only program at Indiana, Pennsylvania. Our seven-summer journey lasted from 1992-1998, when I graduated! In May 1994, we would head to Pennsylvania by way of Kansas, Missouri and Arkansas with Jasper County, Missouri as a highlight of our trip. I planned to visit my great grandfather’s grave there. Adniram Hopper was my maternal grandmother’s father. Grandma’s name was Oda Elizabeth Hopper Spence (1894-1981). Grandma was born in Shellsburg, Iowa and lived with her parents and sister on a farm there. In 1908, the Adniram Hopper family left Shellsburg and moved to Jasper County, Missouri–an area that was reportedly a Mecca at the time. Grandma met my maternal grandfather there–William Franklin Spence (1884-1973). They were married August 25, 1916. My mother was born in Pittsburg, Kansas July 6, 1917. She was followed by a brother and sister: William Gordon Spence (1918-1983) and Marian Elizabeth Spence Van Fossen (1925-2012). 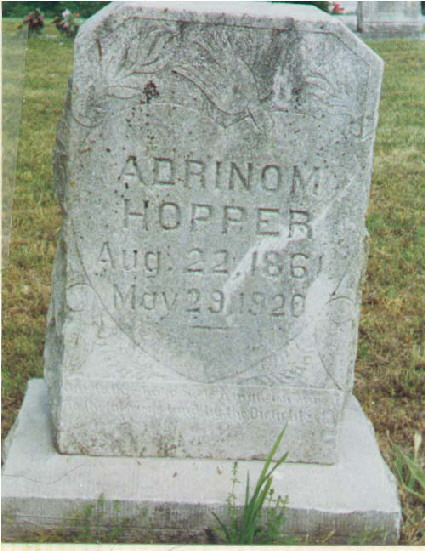 My great-grandfather, Adniram Hopper, died May 29, 1920 and was buried in what was then Walker Cemetery. Shortly after his death, my great grandmother–Elmyra Jane Stern Hopper (1871-1943) and my grandmother’s sister–Elva Mary Hopper Bammert (1900-1986)–returned to Linn County, Iowa. When my mom’s sister was still a baby, Grandpa moved the family to Iowa. He never returned to Missouri. Some of his relatives still reside in Jasper County. Few would remember Grandpa, let alone his father in-law! Adniram Hopper (1861-1920)–a notation I added to my notebook entry. I already informed my mother what I planned to do. “He’s in Fullerton Cemetery,” I told her. She frowned and then looked at me. I must have read those instructions ten times aloud as we entered Carthage. Now, I had his full attention. That was something else I read about in the library. By now, we were on the side road. I stared at my notebook. For the next hour and a half, we did exactly what the Confederates did during the Civil War. Instead of marching, we drove up and down that road looking for that cemetery. We could not find the entrance anywhere. We did this a number of times, clocking that four miles each time we headed south and turning onto the side road. Then we drove north until the road reached a deadend. The loud splash from the pool was followed by scurrying feet and a loud slam of a door. I suppose our car would frighten many people. A 1987 Cadillac Deville with dark tinted windows and Colorado plates would frighten many people living in secluded places. We drove slowly down the lane to the entrance of the side road. A car was parked at the entrance, and a man and a woman sat in the front seat. “They weren’t here earlier,” I said. “They look creepy!” I suggested, the image of Bonnie and Clyde suddenly flashing before my eyes. I tried to stop him, but he was already on his way over there. The occupants of the other car glanced at one another. No, they had no idea where it was. Never heard of it. I could see the man shaking his head and the woman taking drags from her cigarette. “Well, thanks!” Howard said, as he returned to our car. The man swiped his brow with his hand and shook his head laughing. The woman smiled and started the engine. Both of them were laughing. I described what I saw to Howard once he started our motor. He watched them through the rear view mirror as we headed down the side row and noticed they turned back toward Carthage. We returned to Carthage ourselves and clocked the four miles back to the entrance to the side road. Only this time, we turned left and drove south. A woman emerged from the house with her telephone in hand. Yes, she knew about the cemetery. We couldn’t miss it. All we had to do was go past the large church they were building down the way, and the cemetery was just beyond that. Her dog followed her from the house, gritting his teeth. I don’t know what breed of dog he was, but he knew how to grit his teeth and glare at Howard’s leg. His nose was only inches away from it. Howard left the car door open on the driver’s side. The dog soon climbed into the car and sat on the driver’s side, gritting his teeth at me. The woman called the dog by name. He climbed down out of the car and sat beside her, gritting his teeth at both of us. We thanked her and headed toward the church. “She said it was just beyond there!” I reported. Only we couldn’t find it again! “That did it!” Howard exploded. He pulled up into the church lot–one of those huge mega churches that were in the early stages of popularity. The leader or pastor or whatever he was knew exactly where that cemetery was located and exactly how to get up in there. We followed his instructions to a T and soon found ourselves entering the Fullerton Cemetery. Next problem? Finding the grave. “Oh, my! Here we go again!” I said, wondering which area to search. Fortunately, I saw a woman placing flowers on a nearby grave, so I headed toward her immediately. Just then, Howard’s voice rang out. “Oh, he found it! Thank you so much!” I told the woman. And I raced the short distance to the grave. “What kind of a name is ADRINON?” Howard asked. Yes, we found the cemetery. Yes, we found the grave. And then I encountered a mystery that still bothers me today. A small paper cup sat at the base of the tombstone bearing the head of a yellow iris. I picked it up and turned it over in my hand. It had probably been there a week or longer. The water was gone, and the iris was very dry. “Now, who put this here?” I asked. Glancing around, I noticed Adniram had the only iris cup. The other graves were beginning to blossom with bouquets since Memorial Day was on the horizon. “One of your relatives!” Howard said. I put the iris down before taking several pictures of the headstone. Howard took one of me posing behind it. Then we waved goodbye to the Fullerton descendant, jumped inside the car, slammed the door, and drove away. “I’m glad that’s over!” Howard commented. I grew quiet, thinking about our whole adventure. 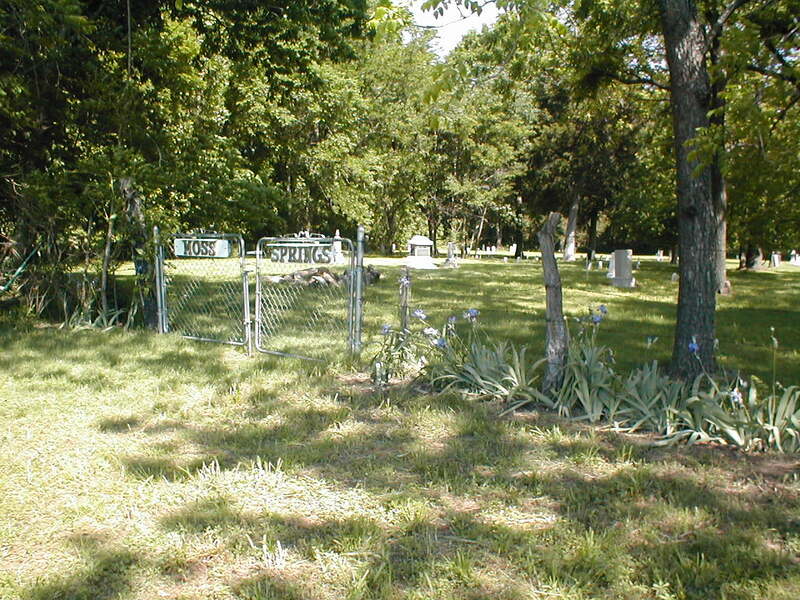 We headed down the road to Harrison, Arkansas after stopping next at Fidelity Cemetery. Howard’s mother lived in Harrison at the time, and we spent the night with her. The next morning, we headed out for Pennsylvania. I would have a story to tell my mother on our return trip to Colorado through Iowa later that summer.